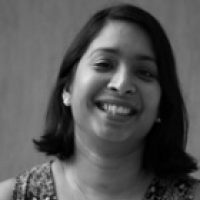 Mala is responsible for supporting the development and launch of new events across the Bench Events portfolio. With over 18 years of event management experience; she is an expert at delivering on many different formats of business-to-business events and in her career has led the logistics teams for hosted buyer events as well as conferences. In her previous role as Head of Production she delivered high profile public policy conferences, working with top governmental officials. Since joining Bench Events, Mala has worked on client partnered events; the Morocco Tourism Investment Forum (MTIF) and The Hospitality & Tourism Summit. She has successfully managed the Global Restaurant Investment Forum (GRIF) which is now in its 4th year and taken ownership of the Africa Hotel Investment Forum (AHIF)driving and growing the event as the must attend event in Africa. In 2016, she launched AviaDev in 2016 alongside Jon Howell to add the aviation industry to this growing portfolio of events, Mala continues to develop new events and strategies to take Bench Events further into the African and the Middle Eastern markets.